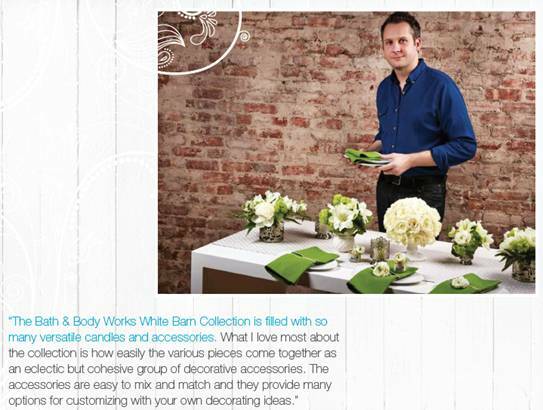 Bath & Body Works partnered with celebrity event designer, Matthew Robbins, to create some fun spring décor ideas as well as provide a few tips and tricks. 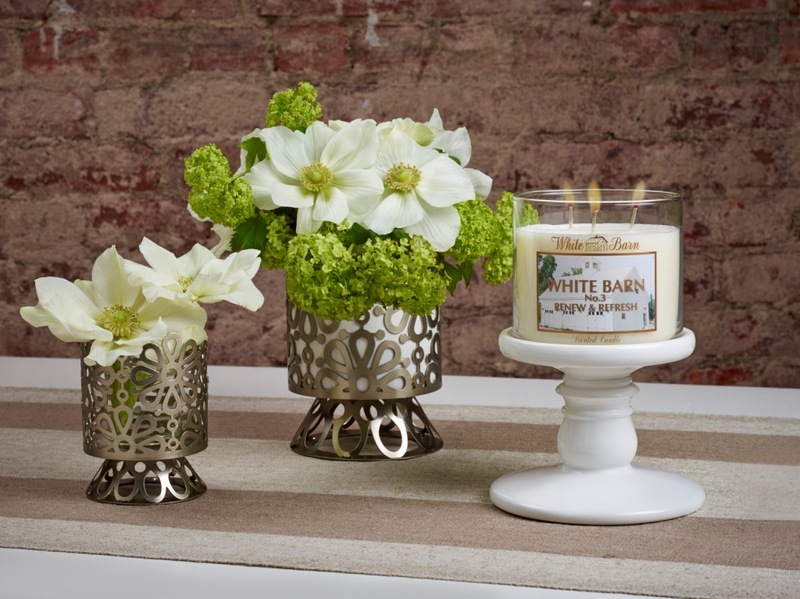 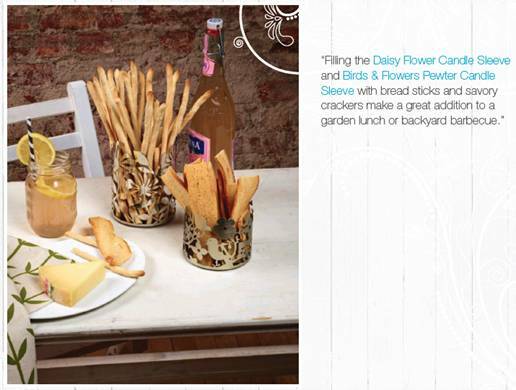 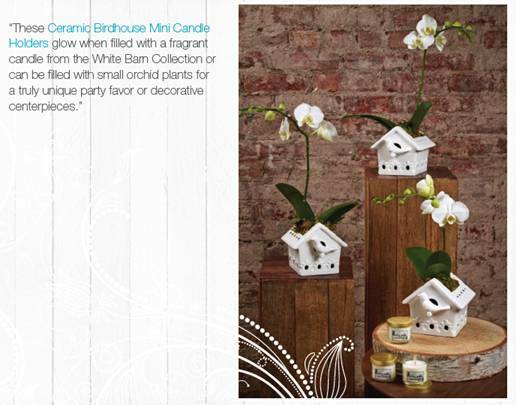 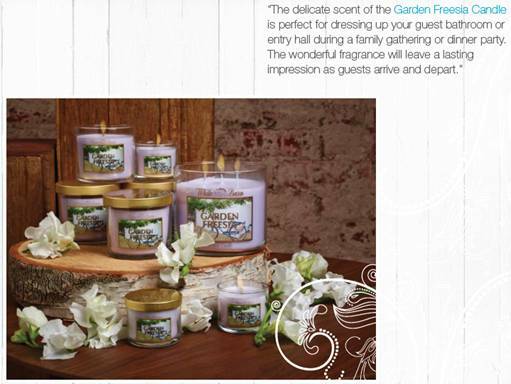 Why not steal an idea or two featuring the new Bath & Body Works White Barn Candle Collection and Accessories when planning your Mother's Day Brunch or any other upcoming Spring gathering !!! 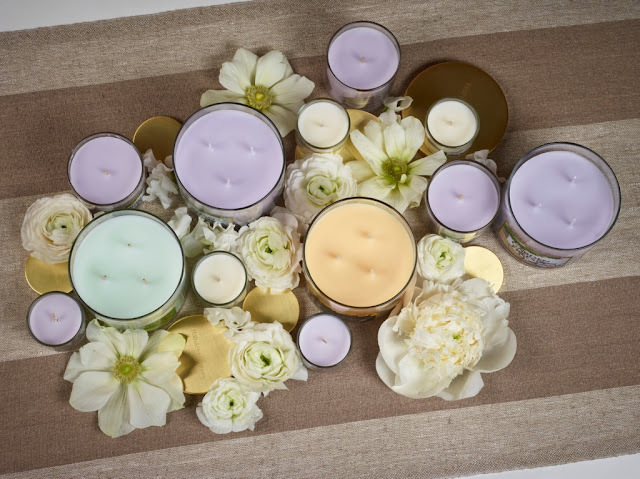 So, maybe you're not hosting a brunch ... You can still gift Mom these fabulous candles and accessories to use on her own time. 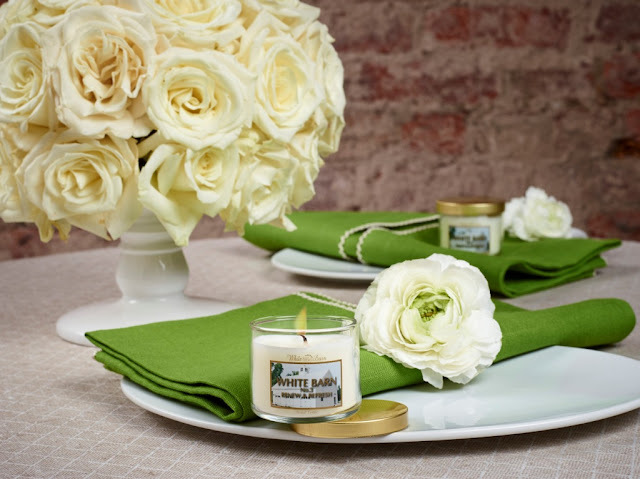 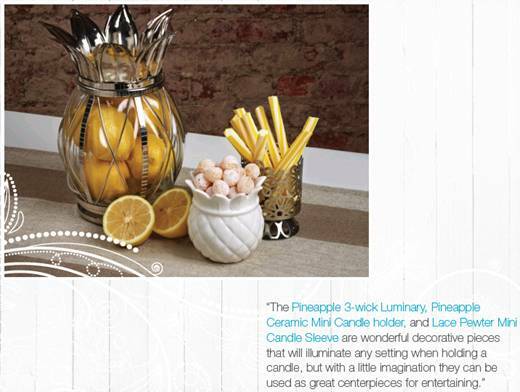 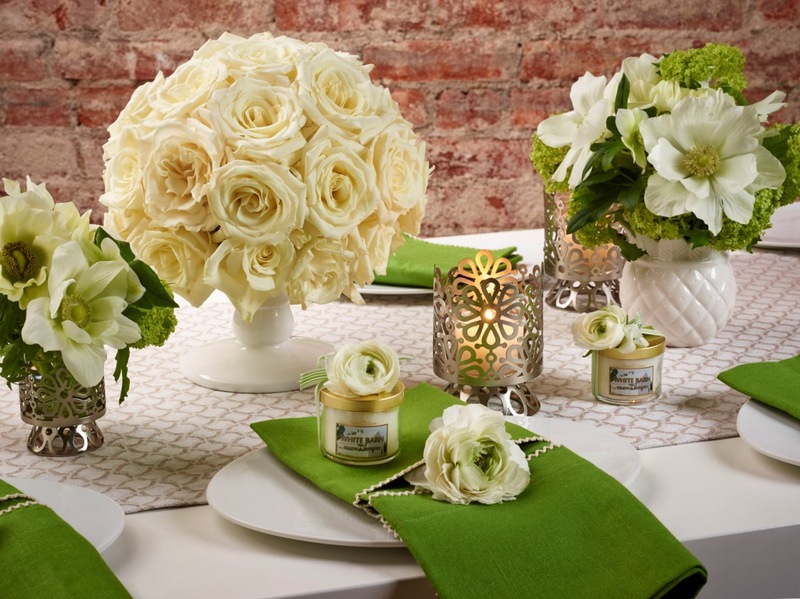 Candles: $20 at bathandbodyworks.com Accessories: $5.50-$44.50 at bathandbodyworks.com An even better idea would be to pair it with Matthew Robbins book Inspired Weddings $25 at Amazon.com and she would be inspired herself to host a fabulous event!! Hope you have a wonderful Mother's Day whatever you decide to do!